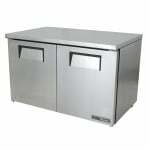 The True TUC-48-LP-HC undercounter refrigerator is constructed of stainless steel and GalFan-coated steel on the exterior to resist corrosion. Its aluminum clear-coat interior liner is easy to clean, and this process is further simplified with coved corners in the floor. Cold air is kept inside with the foamed-in-place polyurethane insulation, and magnetic gaskets prevent cold air leaks. Accessing the interior is simple since both doors have 12-inch recessed handles. Product sits on four adjustable PVC-coated shelves. The evaporator is epoxy coated for protection. The condenser and evaporator fan motors move a uniform amount of air, producing a small amount of heat for efficiency. When maintenance needs to be performed, the service person can access the system from the rear. 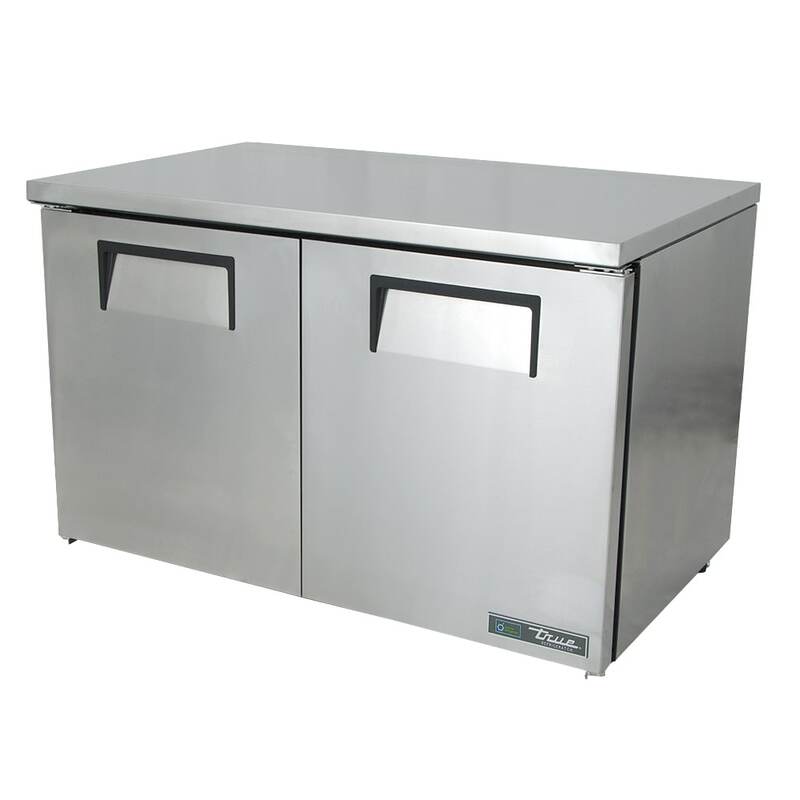 The True TUC-48-LP-HC undercounter refrigerator has a capillary tube system that sends R290 hydrocarbon refrigerant around the unit to create cool temperatures. Temperatures in the unit range from 33 to 38 degrees Fahrenheit. 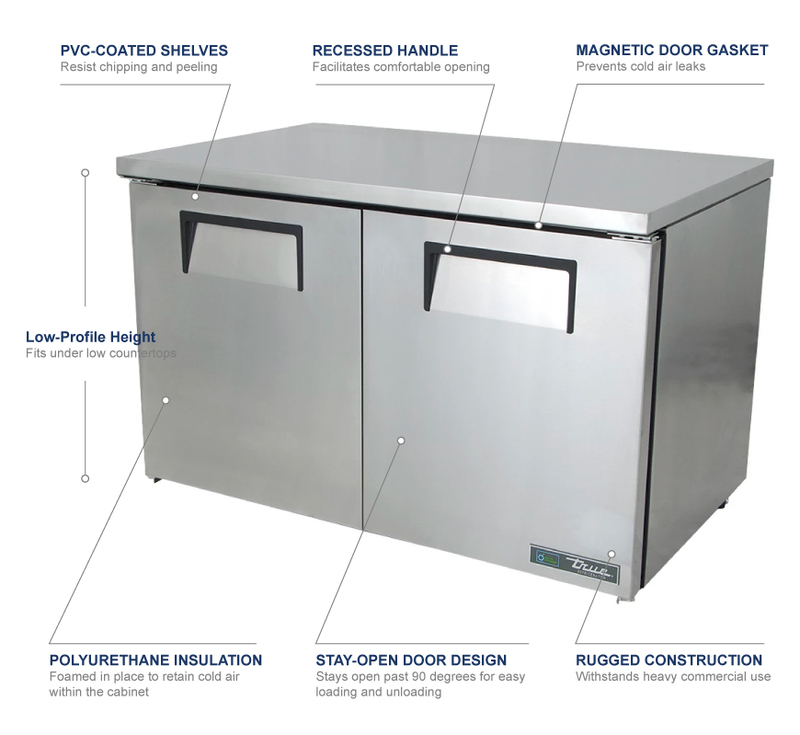 For more information, check out the undercounter refrigerators buyers' guide.